Real Weddings is the go-to source for couples in B.C. In both print and online, the magazine features real, local couples, showcasing the talented local vendors that operate across the province. We also share expert advice and trends to make planning your wedding easier. 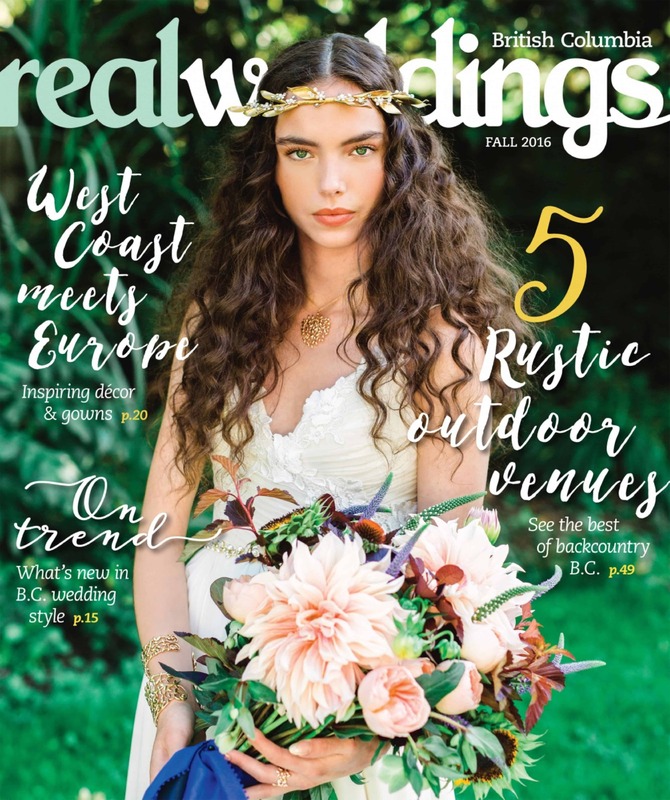 With a dedicated regional focus, Real Weddings is the ultimate guide for services, venues and wedding-related products from Vancouver Island, to Whistler, to the Okanagan and Vancouver. Come plan with us! 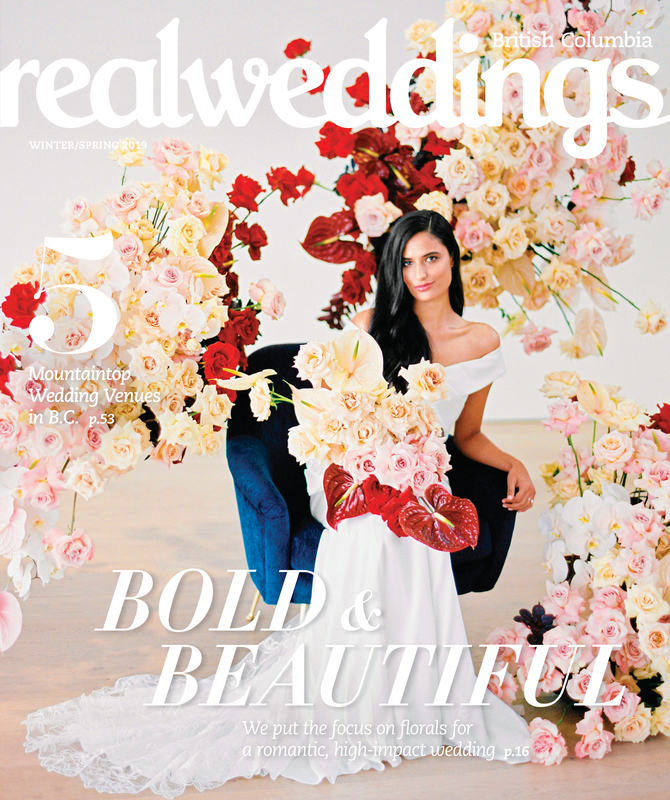 Real Weddings is published by Canada Wide Media Limited, the largest independently owned magazine publishing company in Western Canada. Where can I find Real Weddings magazine? 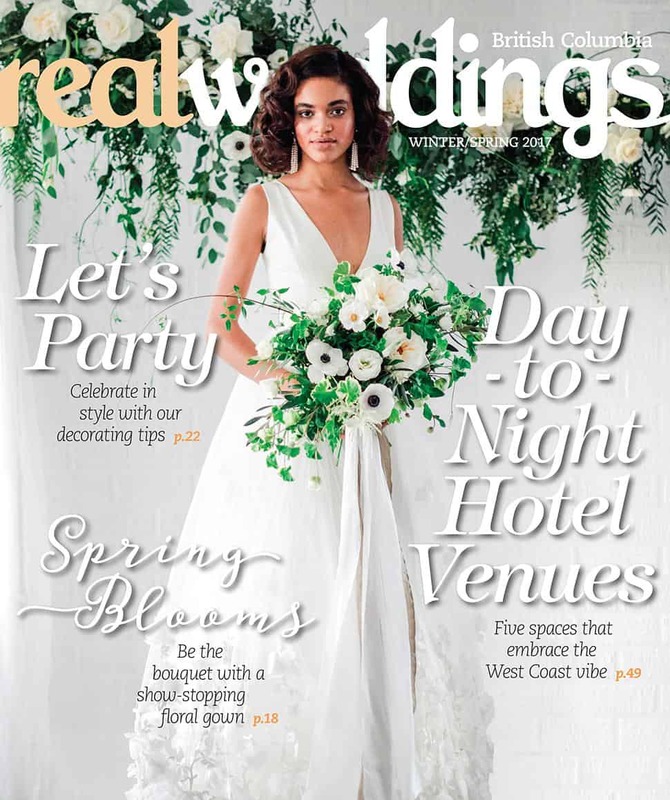 Real Weddings is available on newsstands and at wedding shows, wedding-related retailers and professionals throughout the Lower Mainland, Vancouver Island and the Interior. Home Outfitters, various locations across B.C. Hudson's Bay, various locations across B.C. Sears, various locations across B.C.